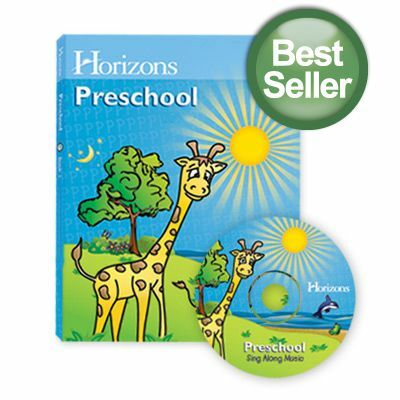 For this review, Alpha Omega Publications sent us the Horizons Preschool Curriculum Set to use with Little Miss. She is four, and is so excited about school. Four is a magical age. I think if she had her way, she would work through a week of school in one afternoon! The teachers manual for this program is clearly written for the classroom. I don’t think this would hold back many people. It is very easy to adapt for use with only one child. 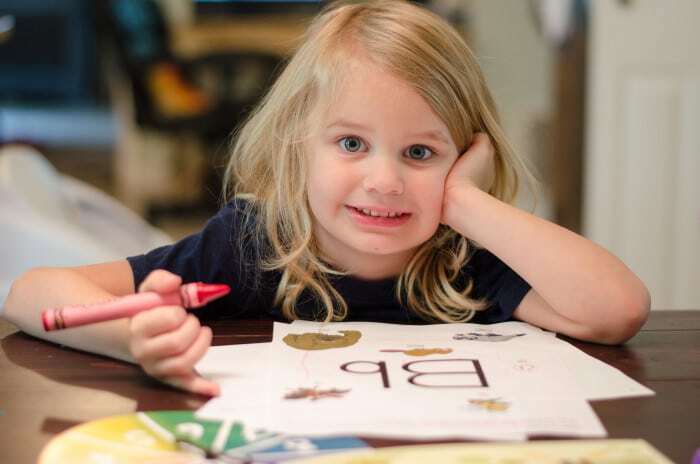 The best thing about it being a complete program (complete for a classroom that is) is that there is enough content here to keep your child busy throughout the day. This is a teacher intensive program. 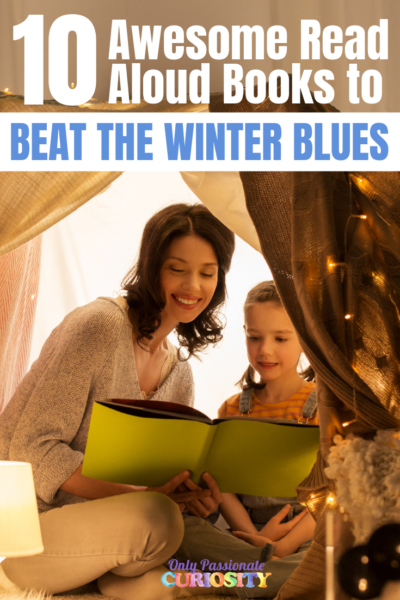 There is a CD with songs to sing with your child, and a resource packet full of full colored posters, flash cards, and other materials to support the lessons. I am going to laminate and bind some of the pages into various booklets for her to practice her reading, shapes, math and other skills. The teacher’s manual contains the instructions for teaching. Each daily lesson has 3-4 pages of text. 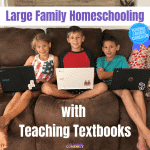 The lesson covers a memory verse, a bible lesson, language arts, phonics, reading, social studies, science, writing, math, story time, arts and crafts, physical education and health. Many of the lessons are taught through conversation which you can weave into your daily activities. Much of the content is worksheet based. You’ll go over the lesson verbally, and then work with your child as they complete their daily work. Each day has 2-4 sheets to complete. 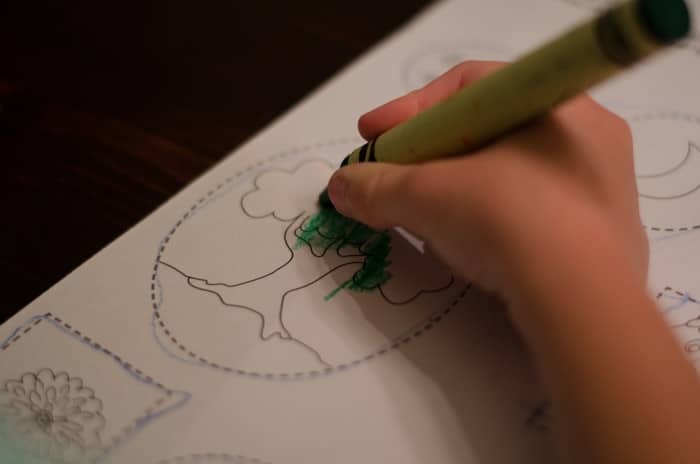 There is coloring, tracing, cutting, writing and so much more. Lessons do also include hands-on activities, crafts, and games. 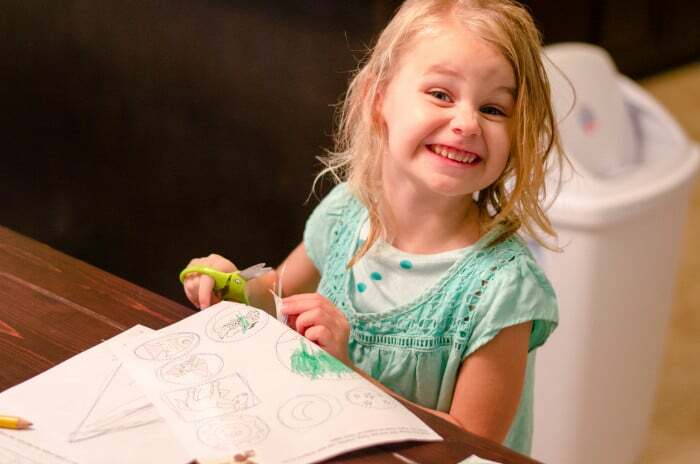 Little Miss loves worksheets, so she was happy to come to the table each day for school time. She is working on her letters and numbers and is getting better and better at coloring within the lines. This program includes a ton of content- more than I can complete in the day while teaching two other children, working and caring for a baby. That isn’t a bad thing- I love to have options to choose from. The curriculum is so complete that it’s easy for me to pick and choose what content is best for our family to do that day. I love the songs that are included, and the little finger plays and wiggly games. The biggest struggle for me has been gathering the supplies for the lessons. 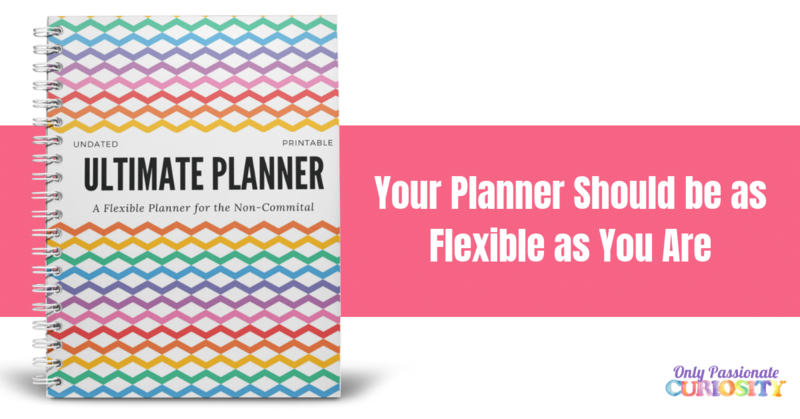 There is a complete list that lets you know what you need for each week, which really helps. Most items are things normal people probably have around the house (I am not one of those people with a well stocked home apparently). I used sticky notes to save the page for activities I wanted to complete but forgot activities for, and it was really easy to jump back and forth between lessons when needed if I did need to rearrange the schedule. Little Miss has been in heaven with this program. She loves being treated like a big girl, and loves that many of the lessons have cutting assignments. I haven’t let her use scissors much since we went through a phase where she cut her own hair. Almost every day there was something she could cut, and she has already made huge progress. Despite my inability to complete all the lessons, because of the worksheet format, I always have SOMETHING for her to do. 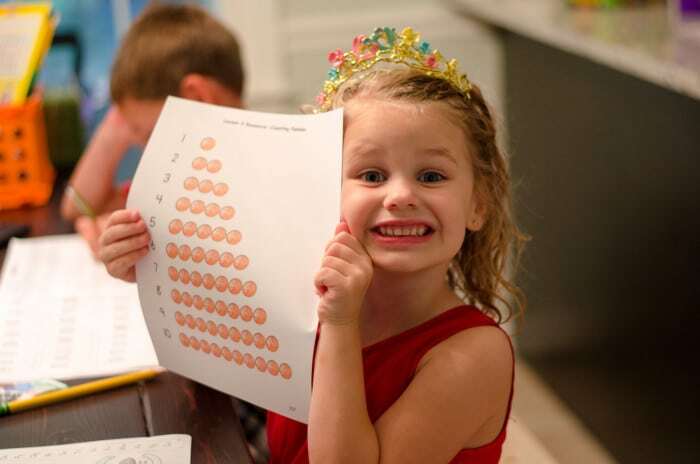 I am a firm believer that preschool is beneficial, especially when you are teaching many children because the activities keep the little ones happy and fill their bucket. Little Miss loves her special time with me each day. This is a very well done program. 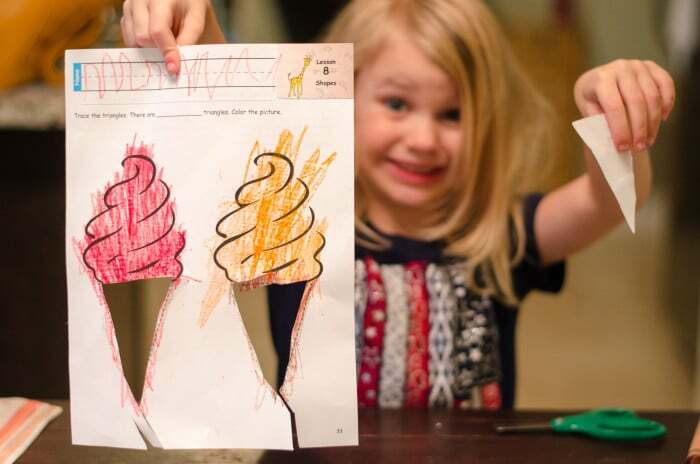 It is definitely best for kids who enjoy worksheets. Little Miss is a content little worker bee, and loves them. I am not sure my wiggly middle boy would have thrived with this format, but she absolutely loves how “grown up” this program feels. The content has moves quickly, and I do feel like it is going to be an appropriate preparation for Kindergarten. I tend to choose secular programs for our family. This program does have a clear and focused Christian basis, and the content is weaved throughout the lessons. It is possible to adapt the program to your needs if you choose to omit the religious instruction, but you would lose the memory verse, the bible story, some of the crafts, and most of the songs included. This program is affordable, complete, colorful, and high quality. I would encourage interested families to look over the samples to determine if they could make it work for their needs. 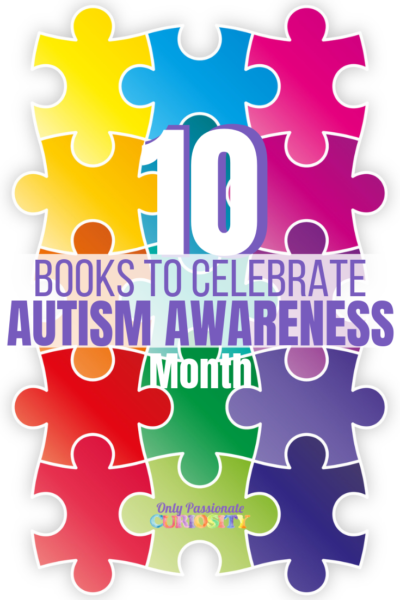 Alpha Omega Publications has many programs for all grade levels. Chick the banner below to read more reviews for various grade levels and subjects.